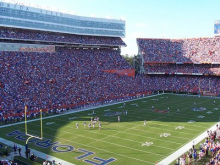 Gainesville is a true “University City” located in north central Florida in Alachua County. 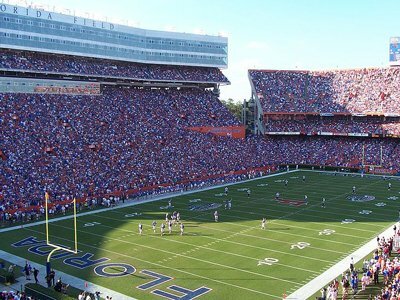 Gainesville’s population tops 112,000. It was voted “Best Place to Live in the USA” by the Money magazine in 1995. For five consecutive years, it has been named Florida’s most livable city and has ranked among the leaders in the nation, mainly because of its beautiful landscape and urban “forest.” It is also the first designated “Gold Level Well City” in the nation in the campaign for citizen wellness. The climate allows year-round outdoor activities. Easy access to the Gulf of Mexico, the Atlantic coast, and to many lakes and fresh water springs in the area makes Gainesville a perfect home for water sports enthusiasts. Tennis, racquetball, golf, biking, and swimming can be enjoyed year round. The city also has an impressive variety of jogging and bicycle paths. In 2007, Gaine sville was ranked as the number-one city in the newly published Cities Ranked & Rated, 2nd Edition written by Bert Sperling and Peter Sander published by Frommer’s. Of the 400 cities in the United States and Canada cataloged, examined, analyzed and described in the 850-page book, Gainesville ranked Number 1. A fine climate, excellent health care, safe and pleasant living conditions, good restaurants, and low unemployment are among the area’s attractions. The University and its community provide a rich assortment of cultural events. All graduate and undergraduate facilities are available to our residents and their families. The University’s total enrollment is 48,000 students. ing stars often perform at the O’Connell Center, an arena seating 12,000. The Hippodrome Theater downtown hosts local plays year round with a great variety. Also on campus are the Harn Museum of Fine Arts, with an admirable permanent collection and exciting visiting exhibitions, and the Florida Museum of Natural History, which moved into new quarters in 1997. The University of Florida Gators are perennially among the nation’s leaders in athletics with many teams achieving national recognition, including football, basketball, women’s tennis, volleyball and soccer, track, and swimming to name a few. There is always the opportunity to attend home games and meets. Gainesville, the home of Florida’s largest and oldest university, is one of the state’s centers of education, medicine, cultural events and athletics. 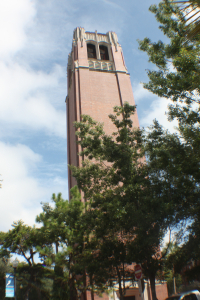 The University of Florida and Shands Hospital at UF are the leading employers in Gainesville and provide jobs for many residents of surrounding counties. Because of its beautiful landscape and urban “forest,” Gainesville is one of the most attractive cities in Florida. Known for its preservation of historic buildings and the beauty of its natural surroundings, Gainesville’s numerous parks, museums and lakes provide entertainment to thousands of visitors. For more information on things to see and do in and around Gainesville, click here!